Our burgundy red Carla 4 secret support vest has a flattering fit with a secret internal panel which provides gentle support. This innovative feature makes the vest extremely versatile and perfect to wear at your yoga class, while lounging at home and even out and about on the weekend. Crafted from a unique blend of micro modal stretch, the Carla originated from a desire to make a lighter weight version of our signature Basel micro modal fabric. We maintained the super-soft fabric quality and stretch composition but created a wonderfully light material. Not only is the Carla soft, but thermostatic properties in the micro modal fibres allow them to react to changes in temperature and regulate your body heat, making this luxury vest ideal for yoga, leisure or sleep. 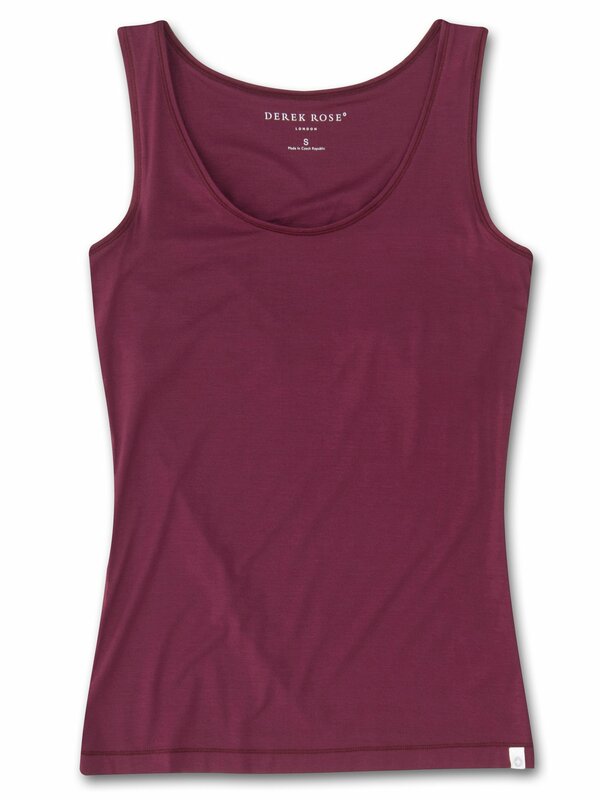 Seen here in our rich burgundy red, the Carla secret support vest is an essential for those who need practicality, comfort and style all-in-one.